Imagine that your PowerPoint presentation can be played as a video clip. Converting PowerPoint to video enables you to share presentations with a broader audience, including those who do not have a copy of PowerPoint installed. You can upload the video presentation to YouTube, Facebook, vemeo, or your own website, or transfer to portable devices like iPad, iPhone, iPod touch, Samsung Galaxy, Kindle Fire, etc. In this article, TechiSky introduces two popular PowerPoint to Video Converter for Windows 8 that will assist you to convert PPT to video in AVI, MP4, WMV, FLV, MKV, MOV, WebM, etc on Win 8. Wondershare PPT2Video Pro is an all-in-one PowerPoint to video converter for Windows 8. It converts PowerPoint presentations to almost all popular video formats such as AVI, MP4, WMV, MOV, 3GP, MPEG-1, MPEG-2 and HD videos. With it, you can conveniently feature your presentations at trade shows, loop graphics as digital signage, in-store displays, or use it as a video podcast for portable devices. Convert to 130 standard and HD video formats, including AVI, WMV, FLV, etc. Offer optimized formats to fit iPod, iPhone, iPad, Pocket PC, and more. Retain all features of the original PowerPoint presentation. 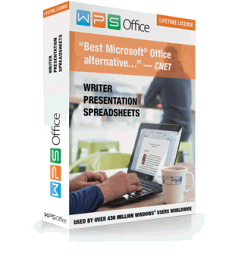 Compatible with PowerPoint 2000/2002/2003/2007 and 2010 32 bit. A watermark of Wondershare logo will be attached to all output videos during the trial period. Xilisoft PowerPoint to Video Converter is professional PowerPoint Video Converter for Windows 8 that can convert PPT to video without having Microsoft PowerPoint on Win 8! The PowerPoint to Video Converter for Windows 8 can convert PowerPoint presentations (PPTs) to standard-definition (SD) videos such as AVI, H.264, WMV, MP4, and MOV; and 1080p high-definition (HD) videos such as HD AVI, HD H.264, and HD MPEG-2 TS! In addition, the Windows 8 PowerPoint to Video Converter also enables you to record and add your own commentaries, watermarks and music to PPTs, adjust the time interval between slides, rehearse PPTs, convert any PPT within minutes and several at once. The trial version can only convert the first 10 sliders in each presentation file. No watermark will be added in the output video.